February 24th 2015. Do you remember your childhood and the time when you could open another window each day on the Christmas calendar and got more and more excited the closer you moved to Christmas? Coaches Across Continents (CAC) staff members feel like that at the moment, because in just a few days we launch our first “On-Line SDL Coaching Course”. We and our 24 participants are very excited to start, on March 1st 2015, this first worldwide On-Line Education Course in Sport for Social Impact. The students have been selected from our 74 implementing partners all over the world and we are very happy that we have participants from nine different countries, working on four different continents participating in this course. We will work with the coaches over nine months to develop their skills of coaching Football for Social Impact and guide them on their way to becoming Self-Directed Learners. By the end of the course they will be able to identify social issues in their own community and develop soccer games that address and ask for solutions regarding the issues they identified. 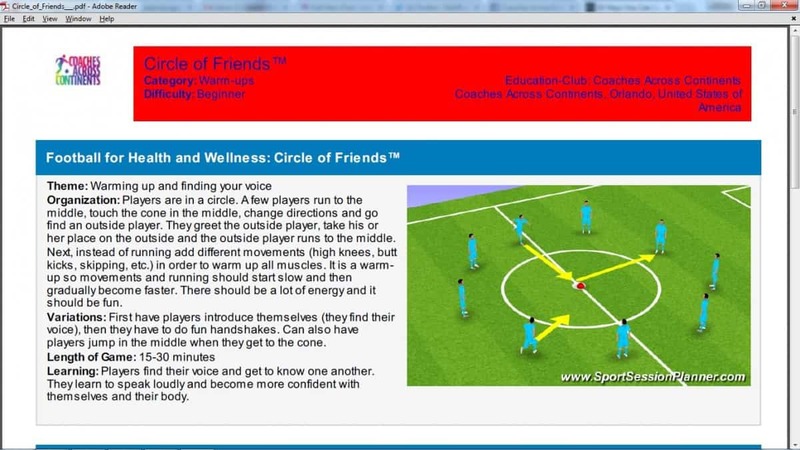 CAC has been using the On-Line platform Sport Session Planer (SSP) for several years now to develop our own curriculum. 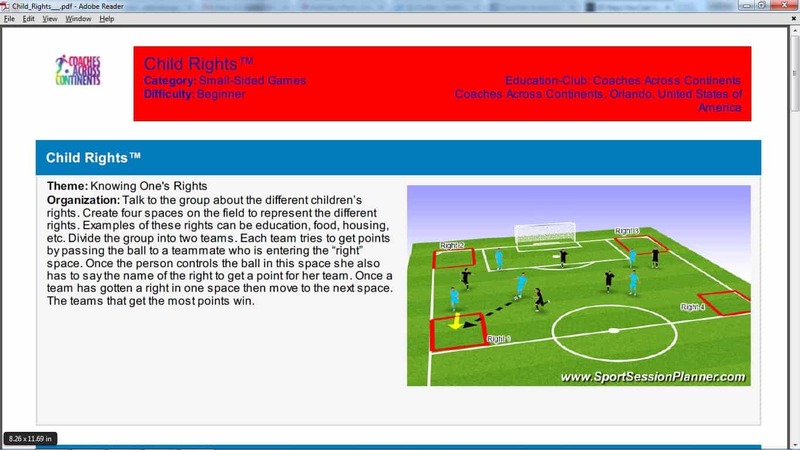 Now it will become a key part in our On-Line Education course where the participants can enter, change, develop and share games they have played. We will use this platform to guide our coaches through the Self-Directed Learning (SDL) stages “Educate”, “Adapt”, and “Create”. In the “Educate” stage they will implement in their community nine CAC games every month and enter those games into SSP. In the “Adapt” stage they will learn to change existing games – using SSP – in a way that suits their individual needs. And in the final “Create” stage they will learn how to develop and design their own games and share them on SSP with participants from other communities. Furthermore CAC will have monthly Skype calls with the participants to give them any support they need and to follow up on their individual progress. CAC want to start a worldwide platform where communities can share their knowledge, experience and creativity and give feedback to each other’s games. One of the most important parts in CAC’s philosophy is that we don’t give any solutions or answers to each community’s social issues. We ask questions and we empower people to change things which they think needs to be changed. And the On-Line SDL Coaching Course is another cornerstone in the process of enabling communities to solve their own problems. Next: Part 1 of The Brand New CAC Documentary! This is a great initiative, such a great curriculum!